Harvard Business School may well have topped the QS Global MBA Rankings 2018 when they were released late last year, but half of the top 10 MBA programs in the world can be found in Europe. With concerns over visa issues, President Trump’s anti-immigration rhetoric, rising tuition costs and longer course length, the US isn’t necessarily the attractive option to international MBA students that it once was. In fact, European business schools are proving to be an ever-more attractive option to prospective MBA students. US programs must adapt or risk losing their supremacy. Who tops the European MBA rankings? 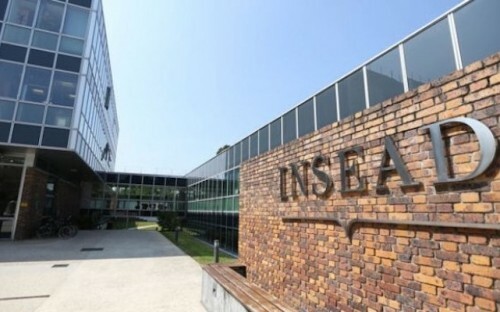 The top two spots in the European Top 10 are occupied by French business schools, with INSEAD just edging out HEC Paris for the top spot (ranked second and third respectively in the global rankings by QS). Like Harvard, INSEAD has the prestige that often goes hand-in-hand with longevity. In fact, it was the first institution to offer the MBA in Europe, back in 1957. It was also the first to offer the one-year MBA, as opposed to the traditional two-year program, popularized in the US. Ensuring the tricolour dominates the upper echelons of the European rankings, HEC Paris comes in just behind INSEAD. One of the major advantages of the MBA program at HEC Paris is that it offers students a middle ground option, between the accelerated one-year and traditional two-year options. The 16-month program at HEC allows students long enough to build a strong European network, while still shaving time off the two-year alternatives. With a firm eye on the other end of the MBA pipeline, HEC is also tied with Harvard for the best business school in terms of our employability indicator, something which is understandably at the forefront of students’ minds. The UK is the most represented country in the top 10 with four institutions. The long-term effects Brexit will have on the UK economy, and the job prospects of international MBA students, are still somewhat uncertain. However, at the current time interest in top business schools such as London Business School (third) and The University of Cambridge’s Judge Business School (eighth) remains high, as does the quality of their MBA programs. Elsewhere, IE Business School (fifth) and ESADE (seventh) represent a strong showing from Spain, while Switzerland’s IMD (ninth) and Italy’s SDA Bocconi (10th) give the list a truly European feel. Further evidence of this is supplied when looking at positions 11-to-20. Business schools from Belgium, Denmark—Copenhagen Business School—and The Netherlands also appear in the top 20. A better ROI on your MBA in Europe? The QS TopMBA.com Return on Investment Report showed that if the end goal for MBA students is the largest possible salary, then the US is the place to go. Led by the elite M7, the top 20 is full of prestigious US business schools. In fact, only one institution breaks into the global top 20; Switzerland’s IMD. While the average post-MBA salary achieved from students at US business schools sits at $89,037, on the other side of the pond that figure is $73,271. Due to the prevalence of one-year programs in Europe, the opposite is true when we look at how long it takes to pay back the cost of the degree. In the US, the average payback period is 55 months, while in Europe it is only 51 months. Among the top 20 schools for shortest payback period, 18 come from Europe, with no representation from the US. While top US business schools are indeed diverse, international demand is shifting away from the US, as reported by GMAC. Three-quarters (75%) of full-time MBA programs in the US showed declining international application volumes in 2017, while the same percentage in the UK reported increased international application volumes. Throughout the rest of Europe, international candidates make up 90% of the candidate pool, helping to drive growth and diversity at top business schools across the continent. And it isn’t just in the classroom that MBA students benefit. The cities in which these European business school are located allow students to immerse themselves in cosmopolitan environments, that are perhaps not as typical in the US. This isn’t to say that Europe doesn’t have its problems. Political uncertainty and high unemployment rates in a number of major European countries is a concern for prospective students seeking work in the country of study, post-graduation. But MBA students understand the benefits a truly diverse learning environment can bring, whether they decide to stay in Europe after their studies or look elsewhere to further their careers.